The Bottom Line: Taken meets Patriot Games. Highly recommended. 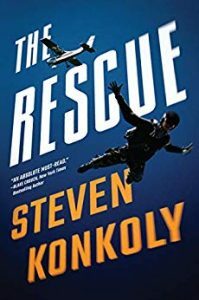 The first entry in Steven Konkoly’s new Ryan Decker series is a perfect choice for fans of Mark Greaney, Tom Clancy and Brad Taylor. Decker, an ex-CIA operative turned mercenary, specializes in rescuing kidnap victims. Hired by an influential US senator to liberate her daughter from a human-trafficking ring, Decker never anticipated sabotage or that the assault could go so disastrously wrong. The hostage is dead. His team is wiped out, and so are their families, including Decker’s own wife and son—eliminated one by one by the Russian mafia. And he’s survived to take the fall.